“By 19… I went down from 360 pounds to 170, had more money than I knew what to do with, and everybody looked up to me…” Scott said during our interview. “By 21, I was $726,000 in debt… and using air miles to pay for food and gas…”. 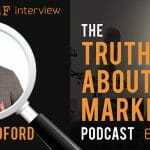 … Scott Oldford flipped the script and is on the cusp of producing 9 Million in revenue in 2017. Scott now heads Infinitus, a company helping clients go from 100K to one Million in revenue. He has a high-level roster of entrepreneur clients like Dov Gordon and Danny Iny. … and it’s no longer enough to rely on product launches. In fact, they’re quickly becoming less relevant… and if you’re not relevant, your audience will forget you and your business. In this episode, Scott reveals the six critical things you must do in your business to move up to 7-figure revenue (even if you’re starting from scratch!). He also “outed” himself with a radical revelation about one event that completely changed his life. 5:00 – The single most important thing you must do to flip failure into searing success. (Scott did this to go from crushed and penniless to expecting $9M in revenue in 2017). 9:20 – The mother-of-all belief-shattering bombs that forced Scott to fire his team, bolt to another state, and give all his clients the boot―without a shred of hesitation or next-step ideas. 13:00 – What “failing forward” really means… and how to use it to propel your business from 100k to 1M in revenue─pretty damn quick. 14:27 – What Scott did to get rid of the mysterious “brain filter” lodged deep in your head that’s secretly blocking your TRUE potential. 18:40 – The single biggest sign you’re building a following of freebie seekers without even knowing it. (And what to do to attract only the kind of people you WANT as customers). 23:32 – The counter-intuitive reason you’re likely suffering from “Shiny object syndrome”… even if you believe you “don’t care about money”. 25:48 – How to zoom from zero to $190,000 in revenue in just two and a half months… and why you won’t get there focusing on new customers. 27:12 – The “Leverage multiplier” secret to opening a flood gate of sales for your business. (And why “creating more value” is actually killing your sales). 36:02 – Do you still rely on product launches to score big pay days? (You’ll want to hear Scott’s unsettling premonition about what’ll happen to your business in the next 18 months). 47:48 – The one thing you absolutely must focus on to finally wear the freedom crown outside your business… without the pressure of keeping a watchful eye on your throne. What’s the one thing Scott’s done that’s produced the most surprising result? “With this, we generated more revenue in January with zero launches than we did in October with 50 partners…” Scott said to me. … and he did it by focusing on one critical thing. (It’s got nothing to do with your list size). 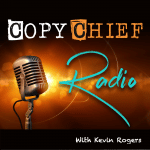 Check out his fresh new approach to multiplying your sales at 45:24. OK, so does this mean there will be a 1st ever ‘drop sid’ retreat in Sedona, AZ this fall?